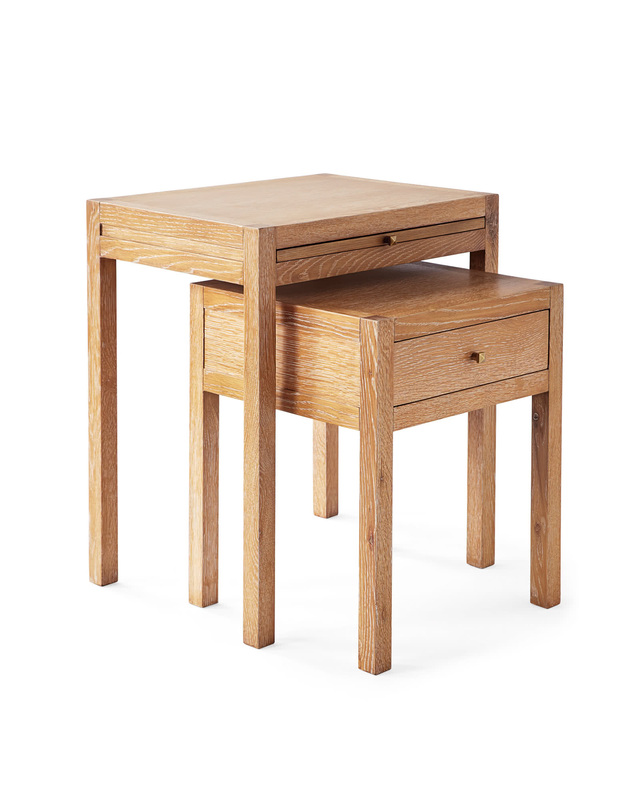 Rowe Nesting TablesRowe Nesting Tables, Cerused Oak alt="Rowe Nesting Tables, Cerused Oak"
Print Our rendition of an iconic Parsons table. We love how the cerused finish lets the gorgeous oak grain show through. The larger table has a pullout shelf and the smaller table has a drawer with a brass pull with a pewter finish. 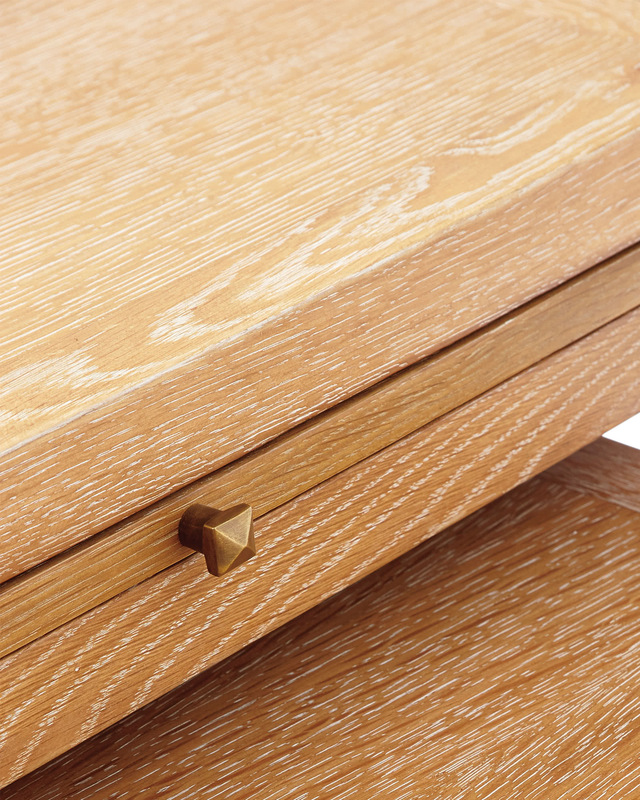 In keeping with our obsession for detail, the drawer is impeccably finished on the inside, as well. 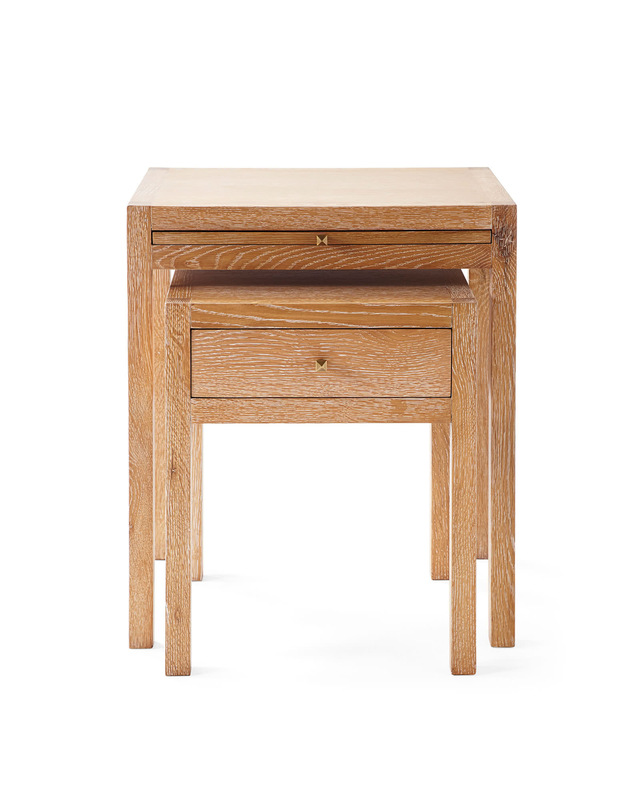 • Crafted of solid oak with a cerused finish. • Small: 15.5"W x 15"D x 19"H.
• Large: 20"W x 15"D x 23"H.